Hotel is in a great location. Staff was friendly and helpful. Only thing I can think of to improve would be to have more gluten free options on the menu. Overall, great experience and would highly recommend. The staff were fantastic. Everyone that we talked to was smiling and very helpful. It was also a pet friendly hotel. Where to find Pierrefonds-Roxboro hotels near an airport? 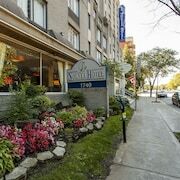 Where can I find hotels in Pierrefonds-Roxboro that are near tourist attractions? Pierrefonds-Roxboro is about 25 kilometres (16 miles) from the heart of Montreal, Canada. Montreal's most renowned attractions include the Notre Dame Basilica and Saint Joseph's Oratory. Visitors with sufficient time can also check out the Concordia University. Planning to book accommodation near Pierrefonds-Roxboro? 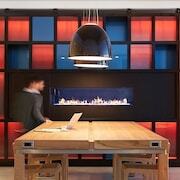 There are hotels in the nearby Montreal areas of Saint-Laurent and Lachine. In Saint-Laurent, you'll find a good night's rest at the Residence Inn by Marriott Montreal Airport. 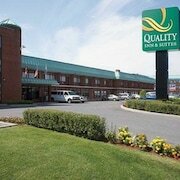 The Holiday Inn Express Hotel & Suites Montreal Airport in Lachine might also be a good choice. 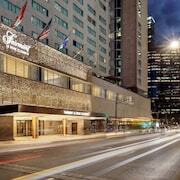 The Montreal hotels page is a good resource to learn all about Montreal. 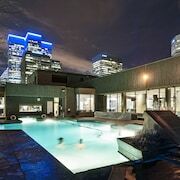 To learn more about Montreal, be sure to check out our Montreal vacation travel guide. 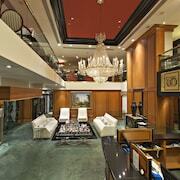 What are the most popular Pierrefonds-Roxboro hotels? Are there hotels in other cities near Pierrefonds-Roxboro? 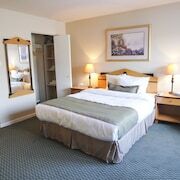 What other types of accommodations are available in Pierrefonds-Roxboro? Explore Pierrefonds-Roxboro with Expedia.ca’s Travel Guides to find the best flights, cars, holiday packages and more!